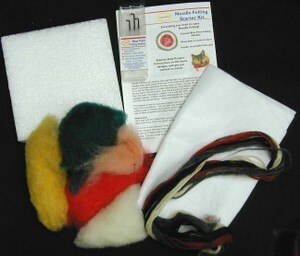 Needle felting starter kit gives you everything needed to start needle felting. Kit comes with project instructions, a pack of blue point needles, a reuseable 6in x 6in foam pad, and enough dyed wool to complete your first project. Projects may vary.